Both Sheridan and Goldsmith lamented the popularity of sentimental comedy in the later eighteenth century and wrote their witty and satirical plays (though never lascivious in the manner of Restoration comedies) to counteract the sentimental mode. 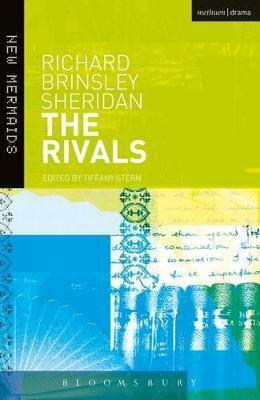 The Rivals (1775) was a qualified success: the suave young officer who is 'forced' by his father to marry the very girl to whom he is secretly engaged must always please; but first audiences were as uncertain as later critics about how to evaluate his neurotic friend Faulkland, who invents a series of caveats for his marriage to the earnest Julia. A country squire who becomes alarmingly foppish in town, an impetuous Irishman and the linguistically challenged Mrs Malaprop complete the cast. This edition includes the original preface and several prologues; in an appendix it lists all the fashionable books and songs to which the characters allude. Dr Tiffany Stern is a former Research Fellow of Merton College, Oxford, and is currently Senior Lecturer ar Oxford Brookes University.